BSNL has decided to launch Customer owned ONT (Optical Network Terminal) option for customers availing Fiber Broadband (FTTH) Services. 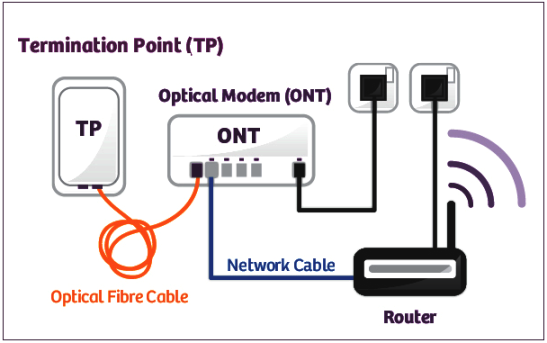 ONT stands for Optical Network Terminal or Optical Modem which converts optical signals to electrical form. Now, BSNL Fiber Broadband customers may use their own purchased ONT from market, subject to interoperability with BSNL OLT (Optical Line Termination). 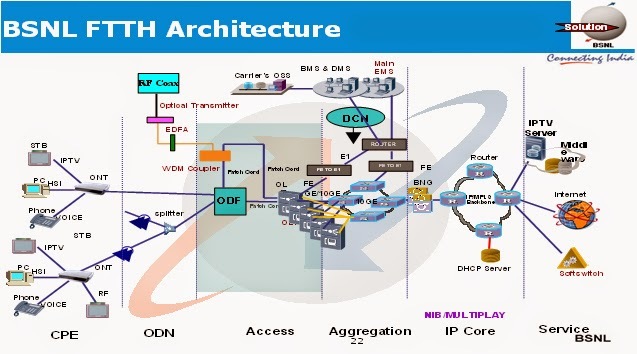 OLT is a device which serves as the service provider endpoint of a passive optical network. The customer owned ONT option shall be applicable with effect from 01-03-2015 in all the Circles. Fibre to the Home (FTTH) is a unique technology being deployed by BSNL for the first time in India. The fibre connectivity having unlimited bandwidth and state of the art technology provides fix access platform to deliver the high speed broadband from 256 Kbps to 100 Mbps, IPTV having different type of contents like HDTV and future coming 3D TV and range of voice telephony services. It provides a comprehensive solution for the IP leased line, internet, Closed User Group (CUG), MPLS-VPN, VoIP, video conferencing, video calls etc whatever the services available on the internet platform, bandwidth on demand can be delivered by this connectivity to the without changing the access fibre and home device. Customer will get a CPE called Home Optical Network Termination (HONT) consist of 4X100 Mpbs Ethernet ports and 2 normal telephone ports. Each 100 Mbps ports will provide broadband, IPTVs, IP Video call and leased line etc as required by the customers. Customer will get power back unit having full load backup of four hours and normal backup of three days. This power backup will be AC input and connecting to the HONT on 12V DC. Dear readers, please share your views about this latest offer from BSNL via comments.